Thanks so much for this, Parents’ Choice Awards! Here it is, Blue Skies & Sunny Days, a collection of loose & breezy songs that will hopefully make you and your kiddos feel good, even on your cloudy days. And I'm so thrilled that one of my artist heroes, Lisa Congdon, did the album artwork for it. Available Now on iTunes, Amazon, Spotify, Pandora, & all streaming sites! Hey Friends, I wrote this song after a day of feeling so upset by what's happening in our country. I was also thinking about how children across the country are processing the news right now because I know so many of them are seeing and hearing it. With my own kids, I've struggled to find words to explain how such hatred, racism, bigotry and violence can live and grow inside another human being (who was also once an innocent child). 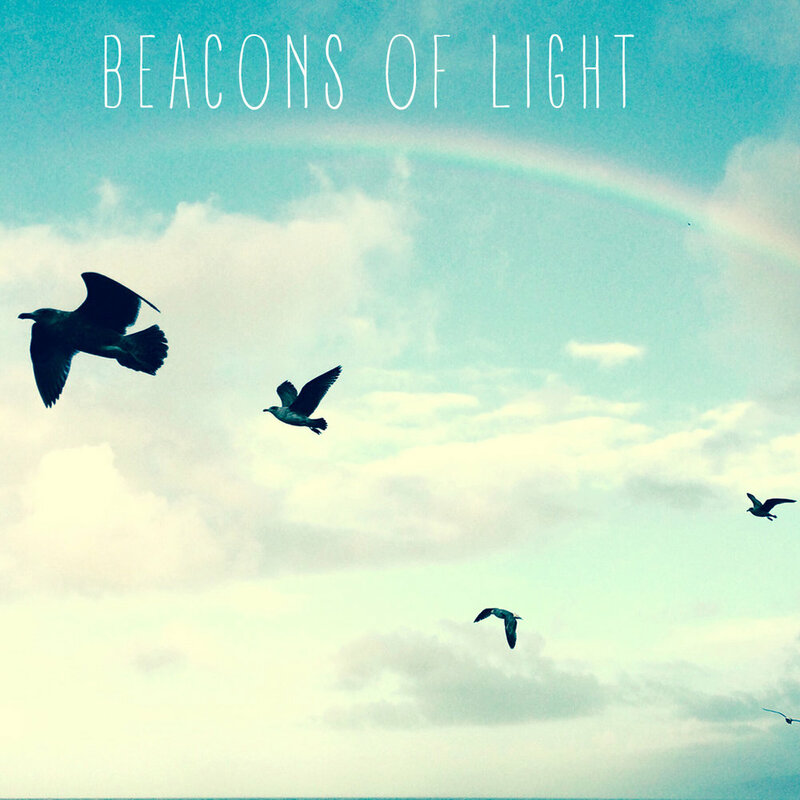 "Beacons of Light" is a response and if you have a child, I hope maybe you'll play it for them. 100% of downloads for this song will be donated to the Southern Poverty Law Center. Huge thanks to Dean Jones for collaborating with me on this one. Sending love and light to you all! EXPLORER OF THE WORLD WAS NOMINATED FOR A 2017 GRAMMY AWARD! Explorer of the World won a Gold Award from Parents' Choice! Here's a fun lyric video to follow along with for "City Don't Sleep." Check out a bunch more on the video page! Sirius XM Show Airs April 1, 2, and 3rd! Hope you can tune in - times listed above. Frances' new album - EXPLORER OF THE WORLD - is coming out April 1 but you can pre-order it now right here! Produced by Dean Jones + Dave Winer, Explorer of the World is a shimmering sonic journey through the everyday and a reminder of all the unexpected adventures that can happen when you keep your head up and let your own curiosity lead the way. New Spring Shows Announced in PacificNorthwest! Please send your Seattle + Portland friends our way. We got the corner booth on a stormy day - what luck!